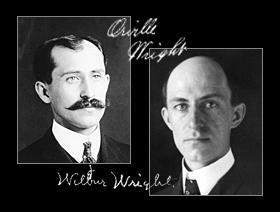 Wilbur and Orville Wright were American inventors and pioneers of aviation. 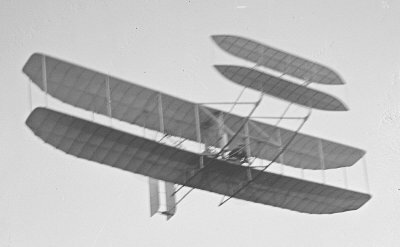 In 1903 the Wright brothers achieved the first powered, sustained and controlled airplane flight; they surpassed their milestone two years later when they built and flew the first fully practical airplane. 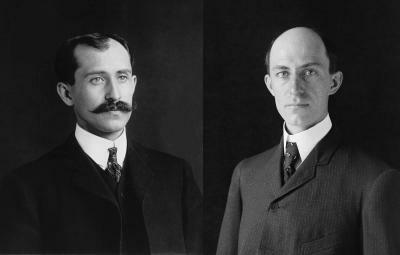 Wilbur Wright was born on April 16, 1867, near Millville, Indiana. He was the middle child in a family of five children. His father, Milton Wright, was a bishop in the Church of the United Brethren in Christ. His mother was Susan Catherine Koerner. 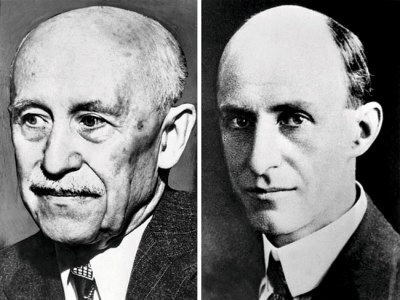 As a child Wilbur’s playmate was his younger brother, Orville Wright, born in 1871. Neither Wilbur nor Orville attended college, but their younger sister Katherine did. Milton Wright’s preaching took him on the road frequently, and he often brought back small toys for his children. In 1878, he brought back a small model helicopter for his boys. Made of cork, bamboo, and paper, and powered by a rubber band to twirl its blades, the model was based on a design by the French aeronautical pioneer Alphonse Pénaud. 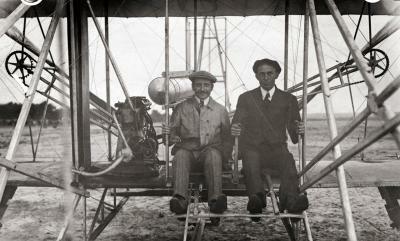 Fascinated by the toy and its mechanics, Wilbur and Orville would develop a lifelong love of aeronautics and flying. Wilbur was a bright and studious child and excelled in school. His personality was outgoing and robust, and he made plans to attend Yale University after high school. In the winter of 1885-86, an accident changed the course of Wilbur’s life. He was badly injured in an ice hockey game when another player’s stick hit him in the face. Though most of his injuries healed, the incident plunged Wilbur into a depression. He did not receive his high school diploma, canceled plans for college, and retreated to his family’s home. Wilbur spent much of this period at home, reading books in his family’s library, and caring for his ailing mother. Susan Koerner died in 1889 of tuberculosis. In 1889, the brothers started their newspaper, the West Side News. Wilbur edited the paper, and Orville was the publisher. The brothers also shared a passion for bicycles- a new craze that was sweeping the country. In 1892 Wilbur and Orville opened a bike shop, fixing bicycles and selling their design. Always working on different mechanical projects and keeping up with scientific research, the Wright brothers closely followed the research of German aviator Otto Lilienthal. When Lilienthal died in a glider crash, the brothers decided to start their experiments with flight. Determined to develop their successful design, Wilbur and Orville headed to Kitty Hawk, North Carolina, known for its strong winds. Wilbur and Orville set to work trying to figure out how to design wings for flight. They observed that birds angled their wings for balance and control, and tried to emulate this, developing a concept called “wing warping.” When they added a moveable rudder, the Wright brothers found they had the magic formula on December 17, 1903, they succeeded in flying the first free, controlled flight of a power-driven, heavier than air plane. Wilbur flew their plane for 59 seconds, at 852 feet, an extraordinary achievement. 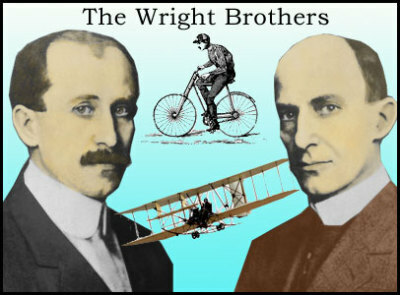 The Wright brothers soon found that their success was not appreciated by all. Many in the press, as well as fellow flight experts, were reluctant to believe the brothers’ claims at all. As a result, Wilbur set out for Europe in 1908, where he hoped he would have more success convincing the public and selling airplanes. In France Wilbur found a much more receptive audience. He made many public flights and gave rides to officials, journalists, and statesmen. In 1909, Orville joined his brother in Europe, as did their younger sister Katharine. The Wrights became huge celebrities there, hosted by royals and heads of state, and constantly featured in the press. The Wrights began to sell their airplanes in Europe, before returning to the United States in 1909. The brothers became wealthy businessmen, filling contracts for airplanes in Europe and the United States. Wilbur and Orville always took shared credit for their innovations and maintained a close relationship throughout their lives. Behind the scenes, however, there was a division of labor. With his sharp instincts, Wilbur was the business mind and executive of the operation, serving as president of the Wright company.